Park your car and relax. Everything you could want or need is within walking distance including beaches, restaurants, shops, antiques, movies, and museums! One mile along the paved beach trail to world renowned Monterey Bay Aquarium, historic Cannery Row, and international Outlet Center. Minutes to shopping in Carmel, golfing in Pebble Beach, hiking in Point Lobos and Big Sur. Located one block from the Monterey Bay in one of the Peninsula's historical neighborhoods. Three bedrooms, one bath, accommodates six people comfortably (two queen-size beds and two twins). Surfing lessons, bikes, nature and historic tours, secret spots, prepared meals and picnics, fully stocked kitchen with specialty foods and refreshments, available on request. If you know what you want, we can get it ready for you. Fresh paint, new carpets, newly furnished, and very, very clean. Our family and I stay there on weekends. Diving, surfing, kayaking, fishing, birding, whale and sea otter watching on the famous marine sanctuary of Monterey Bay, Lovers' Point in Pacific Grove, Carmel Beach and Bay, golfing at world renowned Pebble Beach, hiking, biking , Bach, Blues, and Jazz music festivals, Laguna Seca races, Concours D'Elegance car show, sale & races, wonderful winery touring, whimsical cottages in Carmel-by-the-Sea, Victorians in Pacific Grove, adobes in Monterey and mansions in Pebble Beach----It's all close and accessible. Walk to shops and restaurants, world famous Monterey Bay Aquarium, or John Steinbeck’s Cannery Row. See how the vast majority of the Monterey Peninsula waterfront is open and accessible. Off the beaten path, and next to Tree-lined park. Birder's paradise. We loved this house, only regret is that our schedule didn’t allow for a longer stay. Perfect place for a family of four to explore the area. If we ever get a chance to come back I would book this place in a second. Loved the historic nature of the place, the location, the welcoming environment. Thanks so much for having such an awesome place available! Great home and location. 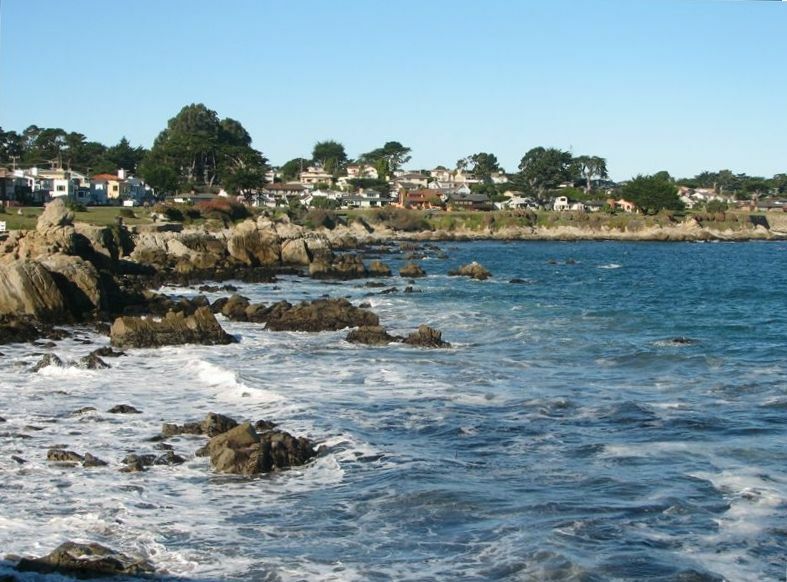 We greatly prefer staying in Pacific Grove instead of Monterey. We recommend this home. We very much enjoyed our stay at this property. Very clean, comfortable house with everything we needed in a great neighborhood. Convenient to several attractions and great restaurants. This home was a great choice for our small family. Directly next to a park where our 5 year old could play and walking distance to Lovers Point beach and trails. House is nicely equipped without being cluttered, and feels historic but still comfortable. Very clean on arrival. We hope to rent again on our next trip to PG! This is a charming little cottage in a small community of homes built in the late 1800's and early 1900's. Close to all the must do sights and activities on the Monterey Peninsula. We loved it. This is our 2nd stay and like before, it was just perfect. Thanks for the very great place to stay.